Forget about splurging on countless skincare products that clutter your dresser and come with fancy price tags. Instead, a few simple tweaks to your lifestyle can go a long way towards getting you the gorgeous skin you've always wanted. We give you a few fuss-free things to do for perfect, healthy skin from the inside out. Follow these tips for good skincare and radiant complexion at every age. 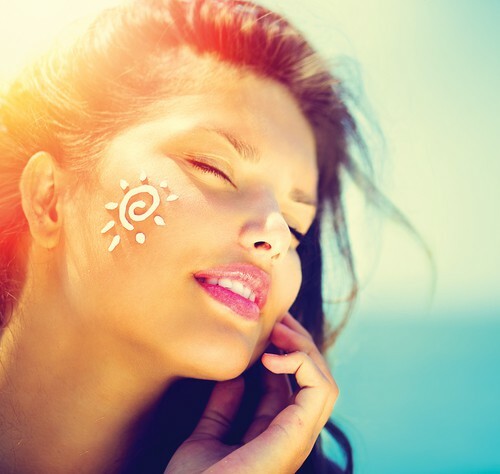 We already know that the sun is our skin’s biggest enemy, but do you really slather on the sunblock religiously? Trust us, apply that SPF like your life depends on it to avoid sun-related damage, age spots, wrinkles and dullness. You will thank us for this skin care tip when you’re older. Ask your physician or chemist for a nutritional supplement to make sure you're getting your daily requirement of vitamins and minerals, particularly if your diet isn't as healthy and wholesome as it should be. 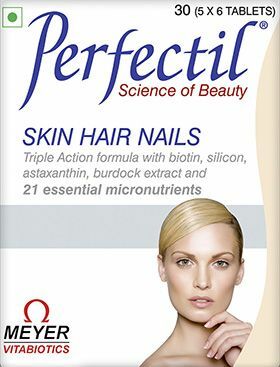 A great choice is Perfectil, a supplement containing a formula of over 20 nutrients that help you maintain a clear and supple complexion, glossy hair and strong nails. It helps in cell maintenance and renewal, contains antioxidants that protect delicate skin tissues against sun damage and it contains natural plant extracts with a proven role in maintaining a healthy complexion. It also has vitamins and minerals essential for healthy blood circulation and strong tissue formation. The best part about it is that it doubles up as a multivitamin, so you don’t need to pop any more pills and supplements when you take it. Of course, with good skincare tips, you don’t need us to tell you to eat healthy and keep sipping on water, but the right diet really can help give you healthy skin from the inside out. Cut down on the processed foods and unnecessary sugar; instead, gorge on nuts, avocado, salmon, tomatoes and pomegranates for that inner glow, and drink plenty of fresh juices and water for brighter skin. 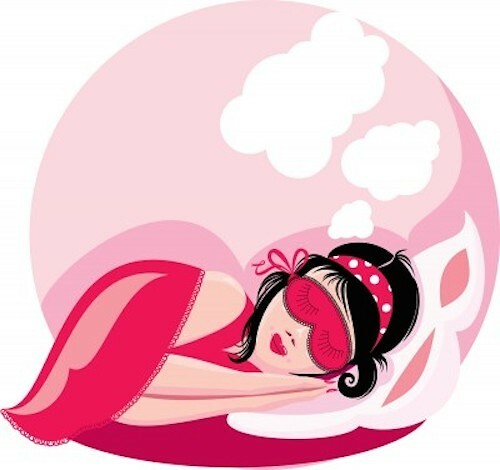 Most essential skin care tips include not skimping on your beauty sleep! It’s called that for a reason, so don’t compromise on your Zzzzzs, no matter how hectic your life is. Nothing causes fine lines faster than exhaustion. A good night’s sleep cuts down stress, is healthy for your body and is essential for rejuvenated, glowing skin. Plus, it’s free! We can’t tell you enough to moisturize, moisturize and moisturize some more. And get your 8 glasses of water a day. It’s so essential to keep your skin hydrated at all times in order for it to be healthy. Dry skin is never a good look and will only make you look older. The drier your skin is, the more prone you are to wrinkles, so make sure to moisturise your skin regularly. 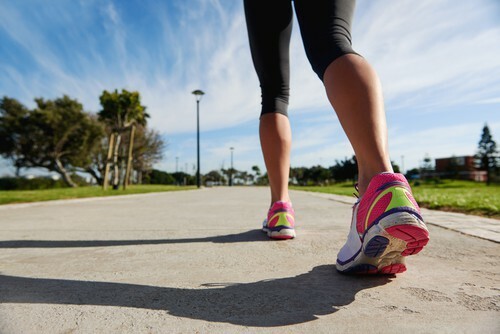 Getting fit and exercising will not only contribute to your health and a great figure but will also help you get clearer, glowing skin. 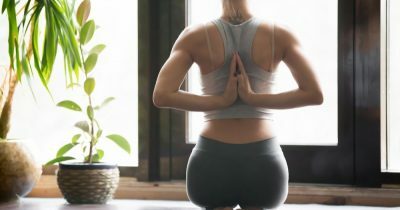 Working out boosts oxygen and blood circulation to your skin, revs up the production of collagen, and sweat is your body’s natural way to unclog pores. When you exercise, your skin produces natural oils, which help keep it young and supple, prevent sagging and bring it that natural radiance. Your lifestyle makes a huge difference to how great your skin looks. Late nights, smoking and alcohol only lead to dull skin that will age faster than other people your age. So try and sleep early, limit your number of cocktails and be meticulous about taking off your makeup every night for a healthier, brighter complexion. *This is a sponsored post. Perfectil is free from gelatine, artificial colours, preservatives, gluten, fat, starch and yeast, and is produced under fully licensed pharmaceutical manufacture according to strict quality control. It has been developed without testing on animals and is suitable for vegetarians. Perfectil (Rs 400 for 30 tablets) is available at all chemists across India and online at www.perfectil.com.